As if there weren’t enough daily deals services out there already, American Express and AOL’s Patch subsidiary network announced a “strategic partnership” today to launch a new Groupon-like service. 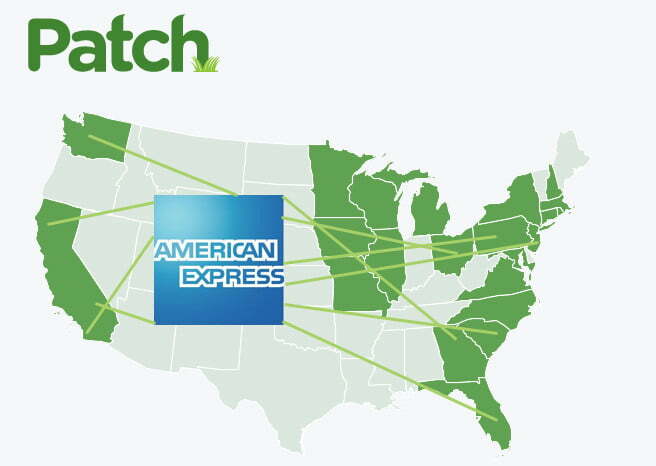 Dubbed Patch Deals, the service will utilize AmEx’s digital payment technology, Serve. Patch is the “hyperlocal” segment of the newly-formed AOL Huffington Post Media Group, with more than 800 neighborhood blogs and 850,000 businesses featured on the network. Through this online community, Patch Deals will offer customers the ability to save cash at local merchants. And, in turn, local merchants will be able to advertise their deals in a “streamlined, effective way,” the press release reads. Basically, it’s exactly the same service that Groupon and LivingSocial offer, but with the AmEx tie-in to give it that little bit of added validity and accessibility. To utilize the service, Patch users “may be offered Serve accounts” which would include a co-branded card that users can simply swipe to receive their discounted goods and/or services. This means “no coupons to print or codes to remember,” says Patch PR. While the daily deals market is certainly hot right now — Groupon could potentially bring in $3 billion in revenue this year — Patch Deals seems more like a creative way to push American Express’ Serve payment service — a kind of pre-paid credit card meets PayPal, which launched in March — and boost traffic to AOL’s Patch network. At least, that’s what it looks like at first glance. According to BNet‘s Erik Sherman, Patch Deals could be “more economically attractive for merchants because there’s no need for them to share revenue, and more convenient for customers, with a no-coupon form of in-person redemption, as well as online purchasing.” All of this adds up to profit for Patch/AmEx and loss of revenue for Groupon, LivingSocial, and the slew of (other) clones out there. Patch Deals is currently only available in six communities, so we’ll have to wait to see whether the service can make it on the small scale before we can judge it on Groupon’s level.